Guys, I can’t even express how much I love this eyebrow pencil, it is a 3in1 brow product. One side has a pencil, middle has powder and the other end has a brush. I am so happy that I have found this product. I see this as a dupe for Anastasia Beverly Hills brow definer, this is basically the same. ABH brow definer has always been my go to, but ever since I have found a cheaper alternative for only £3.00 what more could you wish for?! 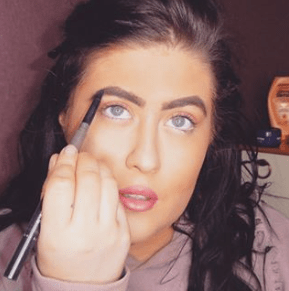 Check out my full tutorial using the primark 3in1 brow.